Here is an interesting fact. Did you know that you burn between 5-7 calories per minute during steady state cardio and between 5-8 calories per min during strength training? One of my favourite styles of resistance training is called HIRT or High Intensity Resistance Training. HIRT is resistance training for fat loss. It effectively increases BMR (basal metabolic rate), and EPOC (exercise post oxygen consumption, number of calories burned post exercise). HIRT is a great way to increase muscle mass while shedding fat. A good HIRT workout consists of 2-3 exercises (super or giant set), 5-15 reps per set, with no rest. A full body workout with compound exercises, using large muscle groups and training at maximum intensity is an example of HIRT. 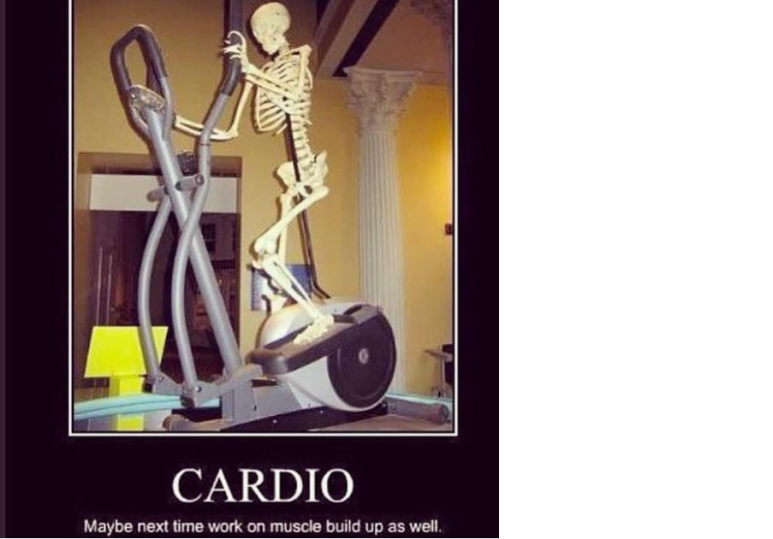 So get off the cardio machines and make the most out of your workouts.